We’re delighted that Florence House in Egremont, Cumbria picked up a Commendation at Friday’s GIA Awards in the Residential category! 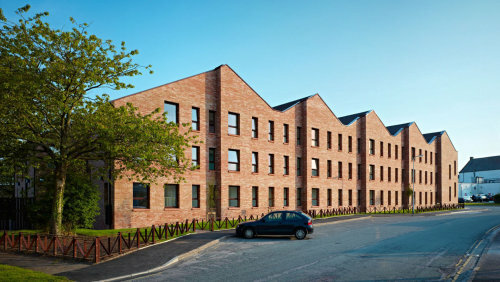 It was amongst some fantastic housing projects on the shortlist from across the UK. Florence house is one of our recent completed projects for the Home Group (northern), the award was picked up by Andy G who was part of the design team alongside Alan Smith for Florence House and Bowflatts. Both Alan and Andy are currently working with Home Group on a number of exciting projects in the North of England.